Published: Dec. 9, 2014 at 03:03 p.m. Updated: Dec. 9, 2014 at 08:50 p.m.
Joe Morgan is no longer a member of the New Orleans Saints. 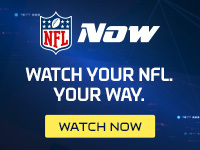 NFL Media Insider Ian Rapoport reported Tuesday that the fourth-year wide receiver has been told he'll be waived, according to a source informed of the move. The move was later confirmed, via the league's transcation wire. The mood in New Orleans is "very tense," per Rapoport, who was told that more than 10 players were called individually into coach Sean Payton's office for review. Morgan's release caps a rocky tenure with the Saints that saw him serve a two-game suspension last month for an unspecified violation of team rules. I saw Payton chase down Morgan and light him up on the sideline vs. Carolina. Considering everything in Morgan's past, this isn't shocking. Morgan will find another home. Six of his 16 career touches have gone for 40-plus yards, but he's struggled to catch on as a core player with just 14 catches since 2011. After Payton vowed to make personnel changes, Tuesday proved he wasn't messing around.